Kan Liu is an Illustrator and digital artist from Shanghai, China. The paintings I have chosen here reflect my interests in fantasy, whether it be board game or novel, and showcases this young artist’s incredible range. If you are in need of some fantasy magic, Kan is available for commissions and you can contact him here. I love the colors and detail in his paintings. There is a vibrancy there that makes you excited when you look at his work. Kan is one of those artists who use dynamic lighting expertly and the effect is dramatic and eye-catching and creates an ambiance perfect for the intended setting. If you talk about the spirit of fantasy you only have to look at Kan’s paintings. Let me know your thoughts in the comments. 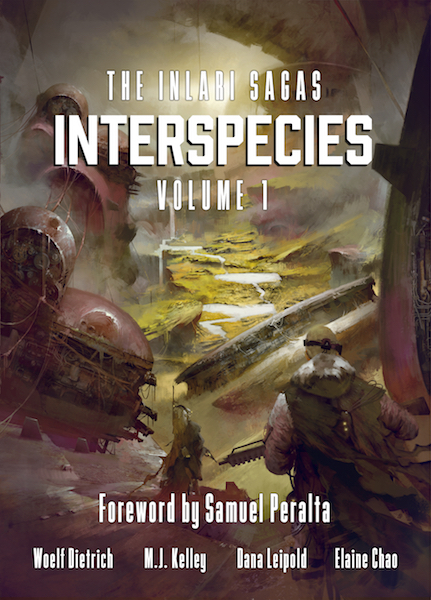 Remember to check out my Art of Science Fiction post for this week over at Kõsa Press. I’m featuring another stunning artist. Oh, and since you’re here, a gentle reminder to please check out my Patreon Page. I have a list of writing projects I want to complete this year and only three things can make it happen: Magic, Lotto, or You. If you help me I will give you unfiltered access to my mind where you’ll explore new worlds, familiar but strange worlds, and sometimes just plain scary worlds. And I’ll give you books. And other things. See my Patreon Rewards for details. Help me be your gateway to the weird and fantastic. Some of these have a really different perspective. I found that with some, especially the ones that are really crowded, I had to take a moment or two to figure out what I was looking at because of the weird angles. I’m imnpressed. These are really outstanding paintings. So dynamics and so vibrant in theri colours.